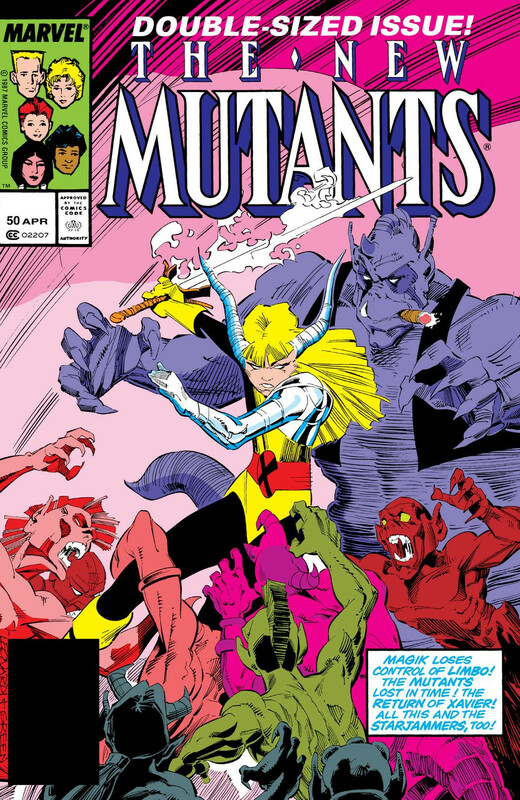 Rick Leonardi is an artist whose issues of The Uncanny X-Men, Cloak & Dagger, The New Mutants, Spider-Man 2099, Nightwing and Batgirl have made him a fan favorite. I vividly recall seeing his cover of The New Mutants #50 on the stands at a store in Rocky Mount, NC known as the Booktrader. This new and used bookstore trucked mostly in romance and science fiction novels, but had a healthy selection of Marvel and DC comics to lust over. I was instantly taken with the cover of Magik fighting for control of the other-dimensional Limbo from S’ym and a horde of demons. The Rick Leonardi portfolio I am spotlighting today comes from the back pages of a 1982 issue of Marvel Fanfare (#12). Leonardi’s emphasis was on flying characters and he paired many of them with gorgeous renderings of aircraft. Iron Man starts things off, but we also get to see some of my all time favorites as interpreted by Leonardi, including Thor, Angel, the Silver Surfer, and Storm! Thor flies alongside a fighter jet! Clean, precise lines. Nothing is wasted or overwrought. The Silver Surfer bridges the great divide! Awesome nature designs! Angel soars above a cityscape! Leonardi simplifies the shapes in such a way that you can almost feel the fog/smog above the highrises. Storm rises above the X-Men and their Lockheed SR-71 Blackbird. I adore how Leonardi found a way to include everyone in the roster of the time. It is a testament to the character designs that they can be rendered so small and yet so recognizable. Storm’s cape really does her justice and Leonardi gets everything about Storm perfectly. Amazing!